So... at least until Lima starts playing in the midfield again, it should start like this. Bradley and Ebobisse are dropped for Trapp and Arriola. GGG is clearly the type of manager who has no problem playing favorites. 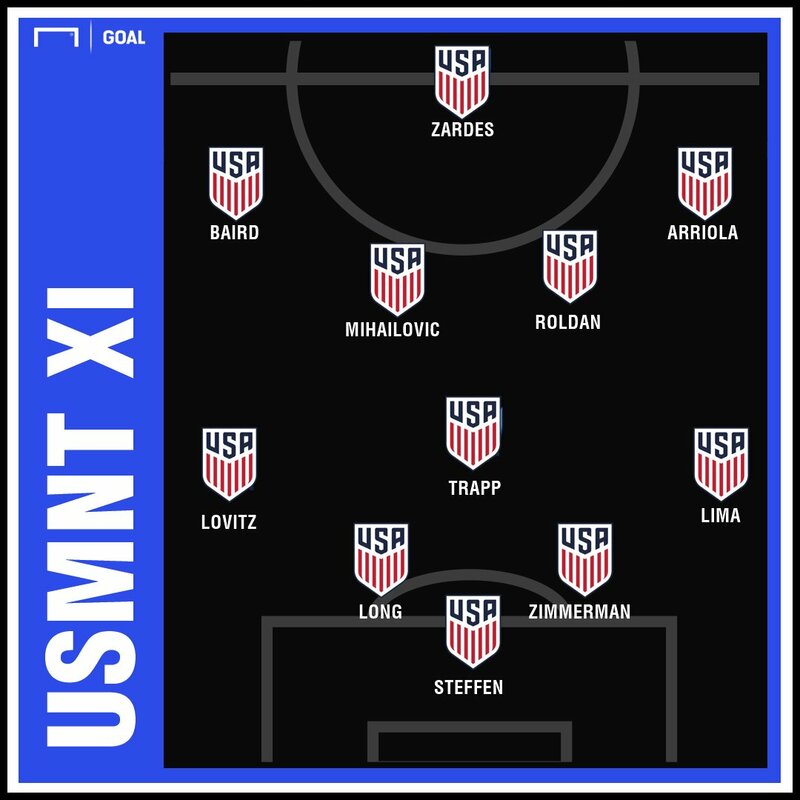 Trapp, Steffen and Zardes? C’mon, Gregg. Beerking, bballshawn and CU soccer repped this. Trapp is an improvement over Bradley. Arriola is a Berhlater guy because he plays wide. But does he do it effectively at a high level? eh. But that phase of USMNT is down the road. Hmm. Interesting. Looking forward to it. Well, this will be a good Mikey v Trapp evaluation tool. Though CR is a tougher test. Delgado, Rosenberry, and Canouse do not make the squad today. Canouse, Rosenberry, and Delgado not dressed. Canouse Rosenberry, and Delgado not dressed. 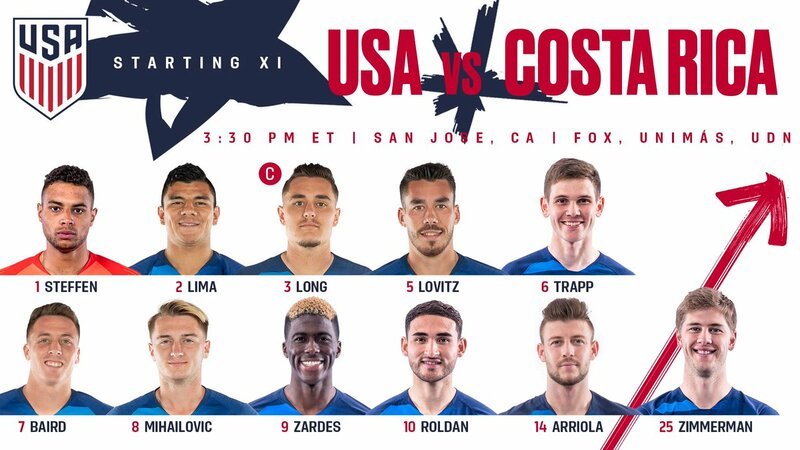 I truly need US Soccer to start releasing their lineups like this. Their graphics are stupid. He's only the best DM in camp. - Roldan and Mihailovic pairing gets another look against a tougher side. - Baird switched to the left where he belongs as a striker by trade. - Trapp switched out for Bradley as a like-for-like experiment. (may have gone Canouse, but not the ball circulator which may be vital to Gregg). - Zardes gets another shot over Ramirez after a bright cameo for the latter. - Lovitz stays in the lineup over Cannon simply because the former is left-footed. Is this game on the T V? Petition me to work for the marketing group. TheHoustonHoyaFan and ArsenalMetro repped this. CB-West and TKyle repped this. I always wondered how he'd respond to being a reserve. It's been about 13 years and there's no shortage of delusion in his mind. CeltTexan and Deep Wilcox repped this. Sorry Jond you must not have got the Memo... Greg needs to see more of Trapp and Bradley before he can make up his mind that they are in fact better than any other midfield option he has available to him. That’s not how it works with Egg.